The fall of Constantinople to the Venetians and the soldiers of the fourth crusade in April 1204 was its climax. It ensured that Byzantium’s days as a great power were over. It equally ensured that westerners would dominate the Levant – the lands of the old Byzantine Empire –until the end of the middle ages. This book asks just how important was the Fourth as a turning point in the Middle East.. 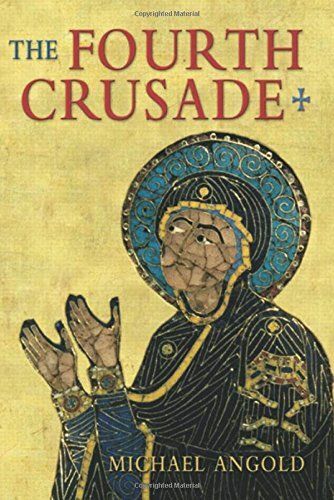 The broad setting is the encounter of Byzantium with the West within the framework of the crusades. Differences of outlook and interest meant that this encounter was soon overburdened with mutual distrust. 1204 was some kind of a solution and created situations scarcely conceivable even two years before when the fourth crusade set sail from Venice.